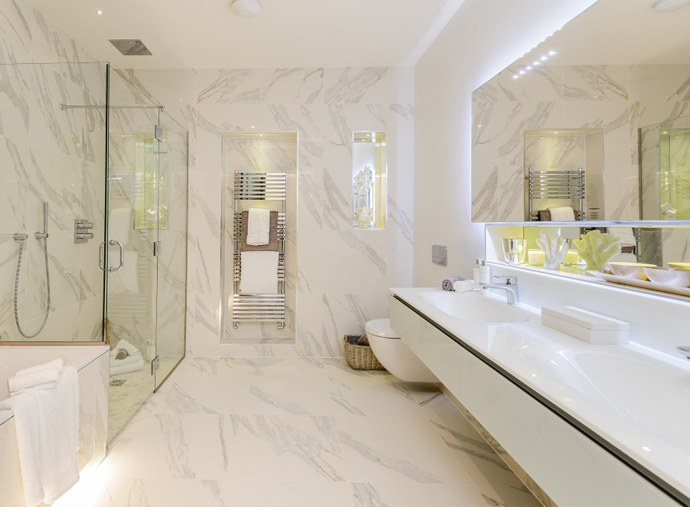 Concept specialise in designing and supplying luxury bathrooms for high end developments, apartments, quality refurbishments and extensions together with individual private client projects. Our in house design team are used to working with the area’s leading architects, luxury developers, main build contractors and specialist interior designers. 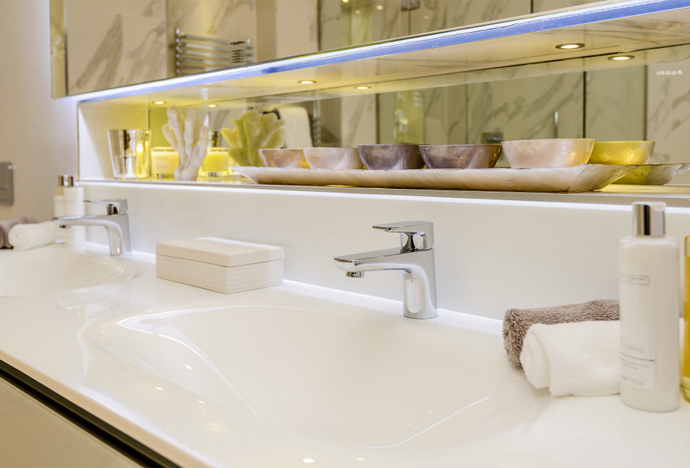 We can design and supply the highest quality vanity units to meet your exact requirements. We often start work at a very early stage on projects, advising on wall and door positions to optimise the best use of space and ensure the room works perfectly. Our vanity units are a practical yet stylish way to store life’s essentials, keeping your bathroom neat and clutter free. There are a plethora of different ways that we can personalise your luxury bathroom project, using the latest textures and colours to bring your project to life and create the right ambiance. Timeless styling from 2017’s bathroom trends add a decadent, rich feel to bathrooms while keeping the lines simple, clean and crisp, combining form and function. 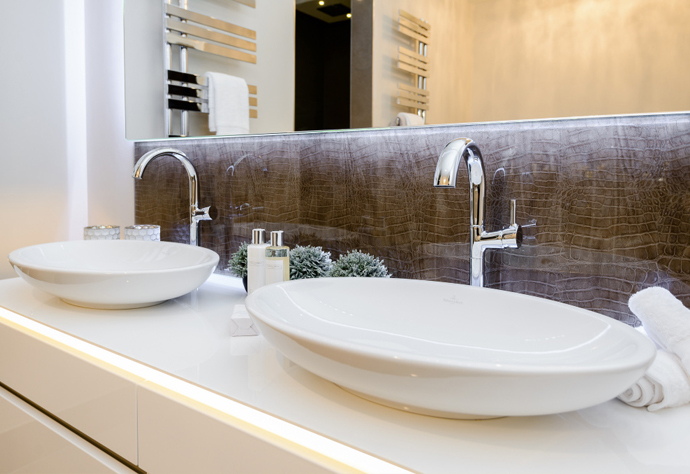 Vanity splash backs can incorporate a variety of features, such as decadent textures and vibrant colour. Concept’s in house designers can help you find the perfect combination to add “that something special”, making sure you can visualise all the possibilities of latest colours and textures, that will work in your project. Call Concept today to book an appointment with the design team to discuss your project . This entry was posted in Luxury Bathrooms and tagged Contemporary Vanity Units, Luxury Bathrooms Ascot, Luxury Bathrooms Cookham, Luxury Bathrooms Henley, Luxury Bathrooms Marlow, Luxury Bathrooms Pangbourne, Luxury Bathrooms Reading, Luxury Bathrooms Streatley, Luxury Bathrooms Sunningdale, Luxury Bathrooms Watford, Vanity Splashbacks. Bookmark the permalink.